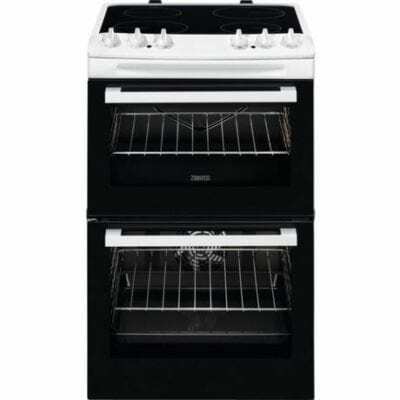 The BCDP503W Beko electric cooker has a main fan oven, separate secondary oven with grill, and four zone hob. Using multiple cooking methods to create the perfect dish has never been easier. 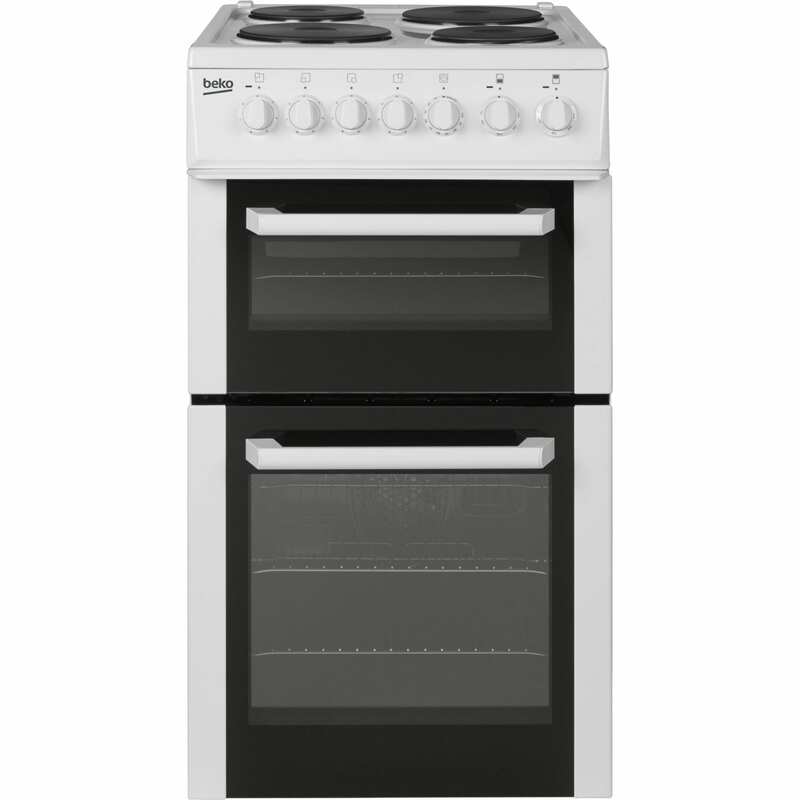 The roomy 58 L main oven capacity means you’ll have plenty of space to cook your culinary creations. 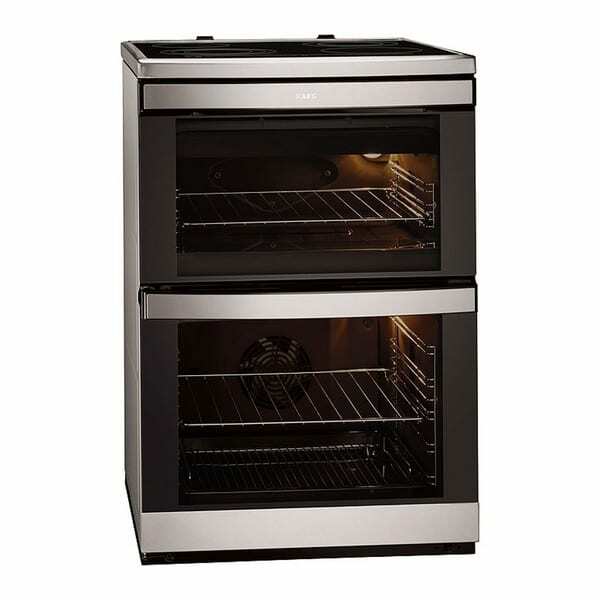 This model has a fan oven, heating up faster and cooking your food much quicker than a standard electric cooker. The fan also helps distribute the heat better throughout the cavity, for even cooking. There is a separate conventional oven and grill in the upper cavity, so you can rustle up cheese on toast or grill some tasty bacon in no time. Having the grill separate to the main oven means you can use both cooking methods at once, making the BCDP503W more versatile than some other models. The four zone solid plate hob can accommodate a variety of pan sizes. Boil, poach or fry food to your heart’s content. There is also a handy indicator light to let you know when the hob is on to prevent any accidental burns. The mechanical count down timer is useful for keeping track of cooking times at a glance. This feature is particularly useful when you’re multi-tasking and need to get dinner ready without checking on it every few minutes. There is also a light inside the oven, so you can check your food through the glass door rather than opening it and letting the heat out. The durable enamel oven lining makes cleaning easy. Interior door glass also helps prevent dirt build up as it’s a smooth surface with no nooks or crannies. 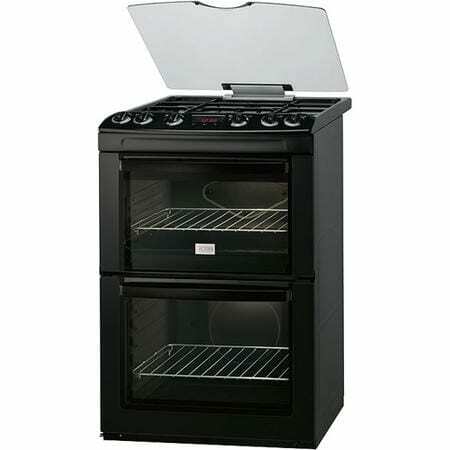 This double oven cooker is freestanding, so you can place it wherever is best for you in your kitchen. It also comes with an A energy efficiency rating, which means you can save money on your bills and do your bit for the environment at the same time.